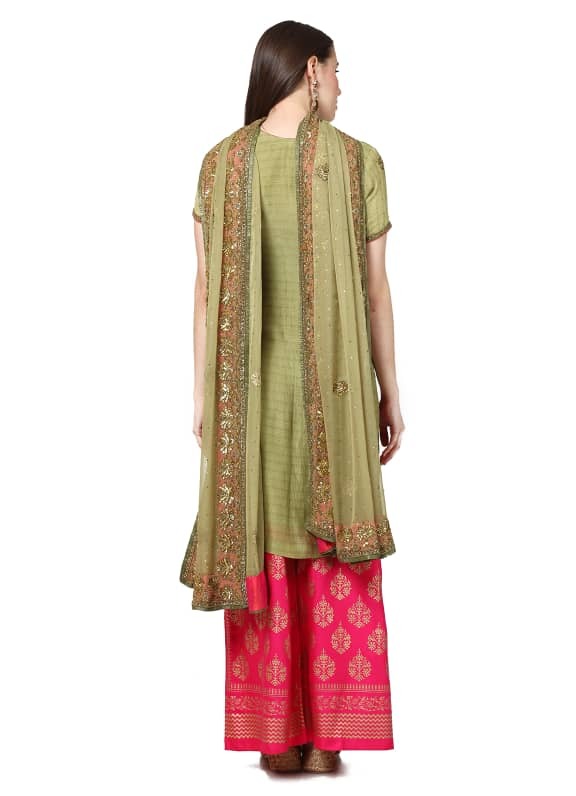 This set features a mehendi green embroidered kurta. 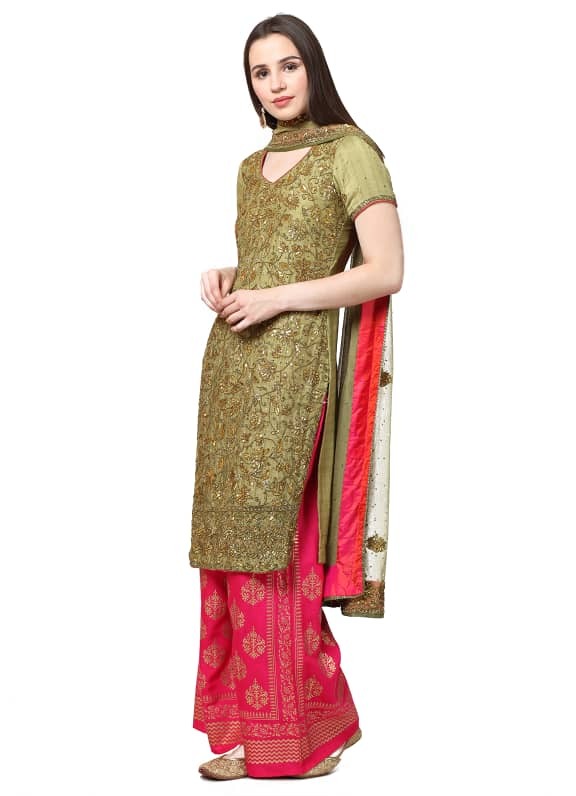 It is paired with a matching chiffon dupatta and block printed hot pink palazzo pants. 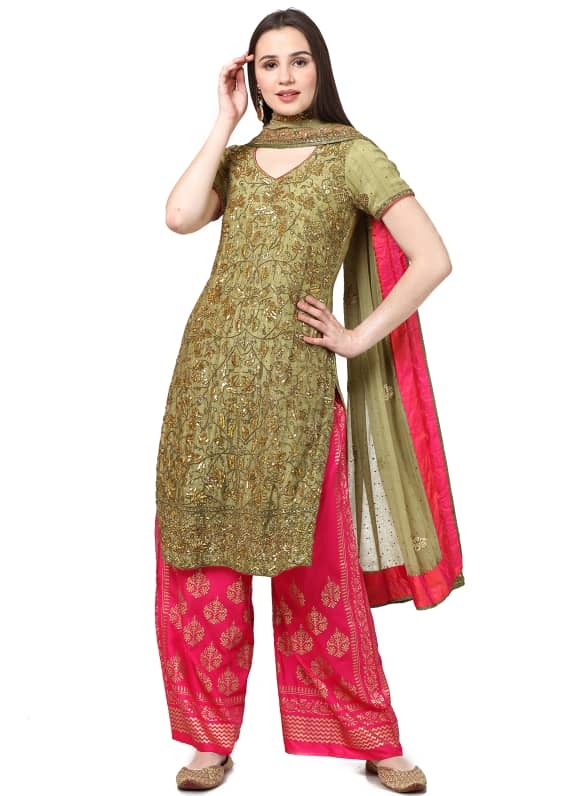 Kickstart the festive season with this trendy ensemble. 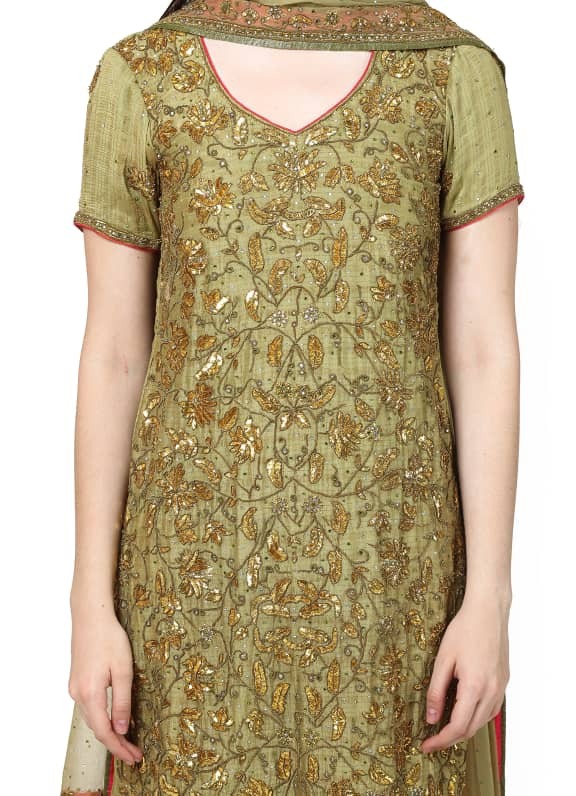 Style your look with a pair of Maithali Kabre earrings.